Creative Assembly’s take on the Alien franchise may have been superseded in the public eye by Rome II and a possible Warhammer: Total War, but it never stopped being a going concern at the Sussex studio. While the sparse, claustrophobic horror Alien is known for still reads like an ill fit for Creative Assembly’s own stock in trade – widescreen, open-air glory hunting – they’ve reportedly clocked that and built something entirely uncharacteristic: an FPS in the vein of BioShock and Dishonored. A source Kotaku say is “familiar with goings-on at Sega” said that the shooter will be available on both current and next-gen consoles next year, but didn’t breathe a word about the PC. Isolation casts the player as both sneak and sneakee, combining stealth and horror elements in an effort to capture the palpable sense of vulnerability past Alien adaptations have regularly failed to capture. That last point’s something Sega are very aware of. Kotaku’s source said that the publisher took Colonial Marines’ critical smashing very seriously, even putting together a ‘postmortem’ after release to prevent the same from ever happening again. To that end, Isolation has apparently already been delayed once – it had initially been slated for a reveal at this year’s E3. Alien: Isolation’s protagonist is said to be Amanda Ripley – daughter of the rather more famous Ellen. She’s never been tackled in the series’ extended fiction before, having died while Sigourney was frozen in space. As Amanda, you’ll explore a single space station furnished with too many vents and lockers, fighting “clones and soldiers” hand-to-hand and facing just one alien for “most” of the game. 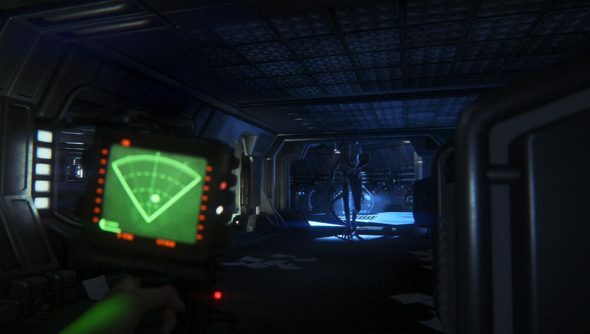 Yup: this is a game inspired by the first Alien film, not the second. Today, Sega trademarked the name Alien: Isolution – a small truth that lends credence to all the big claims we’ve been asked to swallow above. Have any of those details got your heart blipping like a motion tracker?